Over a thousand Druids, visitors and tourists, celebrating the Spring Equinox were led outside the Henge monument by Archdruid Rollo Maughfling, to form a circle of solidarity to protest peacefully but noisily against a tunnel inserted within what the Druids consider to be their sacred space. many other concerned organisations, including ourselves. We can only guess how many objected directly to Highways England but around 7,000 from the UK and abroad used a proforma letter via our website or that of Friends of the Earth. Pressure has now come from Government’s own spending watchdog, the National Audit Office. The NAO has revealed that Highways England are struggling to find specialists to cope with their workload. It has identified 16 unnamed schemes that are at risk for not being value for money. Rumour indicates that the A303 at Stonehenge might be on the list to be put on hold or scrapped. 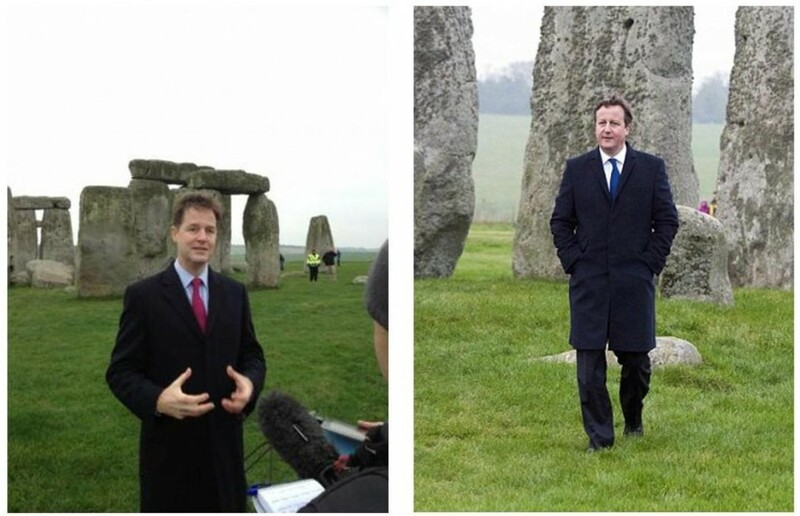 The Stonehenge scheme is an obvious candidate. It has a negative Benefit to Cost Ratio and scrapping it would save a cool £1.4 billion and put an end to mounting criticism and unpopularity. The NAO blames some of the problems on the Department for Transport who were under party political electoral pressure to hurriedly announce a major roads programme. The DfT failed to select projects for best value and commissioned an unrealistic slew of schemes. “Britain’s most celebrated archaeological site should not be offered up as a sacrifice on the altar of electioneering”. We would add that this scheme is being driven by an old fashioned dogma that says that road widening is the answer to congestion. It isn’t. Let’s hope the NAO agrees. Highways England’s 7 week consultation closed on 5th March. Documents can be found here.